Akkineni hero, Sumanth has been going through a dull phase in his career recently. Losing no hope he is back with his latest film Naruda Donaruda. 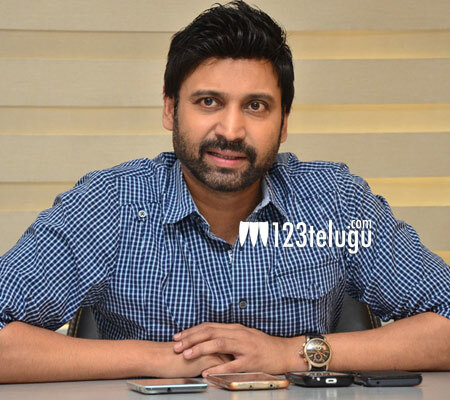 On the eve of the film’s release, we caught up with Sumanth for a detailed interview. Let’s see what he has to say. Why such a long gap for your new films ? I just do not want to rush and do commercial films. I have a different taste and will do only films which I like. This was the time I liked Vicky Donor and wanted to remake it. But I heard that someone already bought the rights and I took it easy. So how did you bag the rights finally ? As I told you earlier, I heard that someone already bought the rights of the film. But nothing was happening about this. I decided to personally meet John Abraham and that is when I came to know the rights were still unsold and bought it from him. Do you think such a bold concept will work with our audience ? Why not ? Times have changed now and I feel that the Telugu audience will approve of any story which is told in an entertaining manner. So, how bold the scenes or comedy is going to be ? The censors have cleared the film with an U/A certificate and this itself shows what you can expect in our film. I can promise one thing that the film will be quite bold but not vulgar. How was the experience of foreseeing the entire production ? It was a huge learning experience. Except for me and Tanikella Bharani garu, the entire crew was quite new and I had kept them together throughout the film. After working for this film, my respect towards the producers has grown hugely. Coming to your personal life, will you marry again ? No ! I am very happy in my current phase of life and do not want to marry as of now. I am just waiting for this film to release and takings things as they come.